When you start planning your wedding, you probably give a lot of thought to the major elements, such as location, flowers, and music. One thing that many couples do not give enough consideration is the lighting for their wedding. Don't overlook it though, because lighting is one of the easiest ways to create an instant mood. 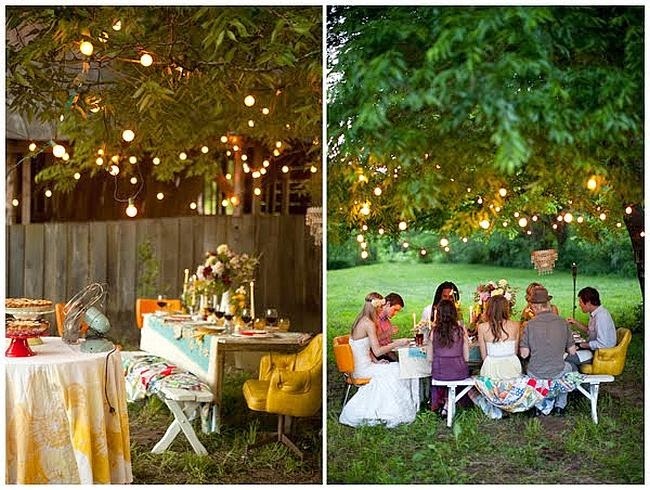 Once you have determined your basic wedding theme, you can start to think about what type of lighting you would like. The key with lighting a space is to balance out the need for people to see clearly with the goal of creating a romantic and intimate mood. Your space will play a large factor in this. Take a look at your reception venue to see what you will be working with. If at all possible, try to visit your site at the same time of day as you will be holding your reception. 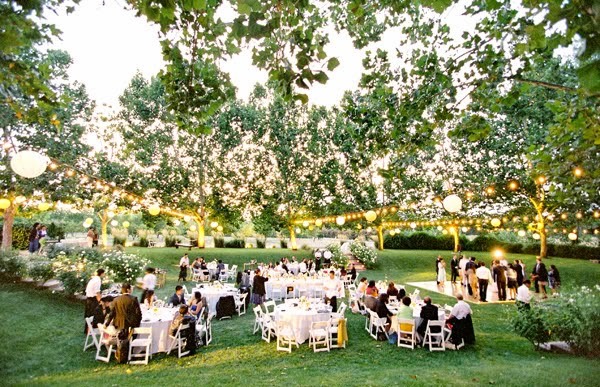 This can be critical; if you pay an afternoon visit to a spot with great natural light, but you are having an evening wedding, it may look completely different. What if their idea of lighting a space is to turn on a couple of flickering fluorescent fixtures? That will certainly not create a romantic glow! When the space you will be using for your reception doesn't have the greatest lighting, there are many things that can be done. If the problem is really severe, you may want to hire a specialist to assess the site and give you recommendations. In places where the lighting is not terrible, but is just not what you want, there are plenty of things that you can do on your own to make it better. An easy place to start is with candles. Lots and lots of candles. For any evening wedding, their flickering glow will create a beautiful mood in a flash. The best part is that everyone looks better by soft candlelight. Think about how lovely the bride and her bridesmaids will look with the glow of candles dancing on their crystal bridal jewelry sets, and putting a twinkle into their eyes. When decorating with candles, you have many choices. If you are the type of bride who likes traditional gowns and classic sets of pearl bridal jewelry, then long elegant tapers set into an elaborate candelabra will suit your style. On the other hand, if your wedding day is all about creating a serene Zen-like environment, then float a few candles in a low dish of water. Or, you can design a Moroccan themed wedding around votives in multicolored beaded holders. There is more to lighting than candles, of course. Other types of lighting fixtures to bring in include chandeliers, paper lanterns, and hurricane lamps. Each will create a completely different mood from the other. The chandeliers are pure elegance; the paper lanterns are festive and can be used for an informal atmosphere or an Asian inspired reception. 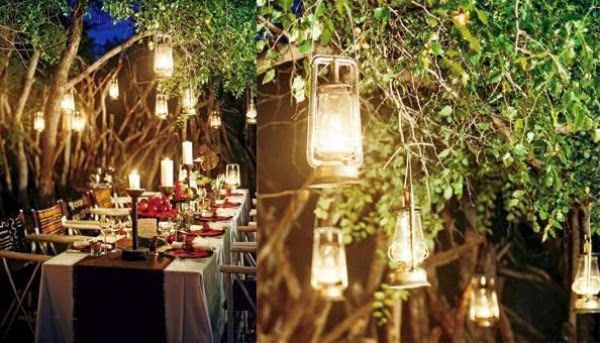 The hurricane lamps are ideal for an outdoor evening wedding. Dress them up with a beautiful floral wreath around the base. Colored lighting can be used to very dramatic effect. A gentle pink glow washing over your reception would be both very flattering and very romantic. For a more striking look, you can use spotlights of bolder colors like purple. Sheer colored fabric can also be draped in front of white lights to completely transform them. This is a great solution for unsightly lighting fixtures. The lighting that you choose will go a long way towards setting the mood for your wedding. It can take a decent looking venue into the realm of the enchanted. 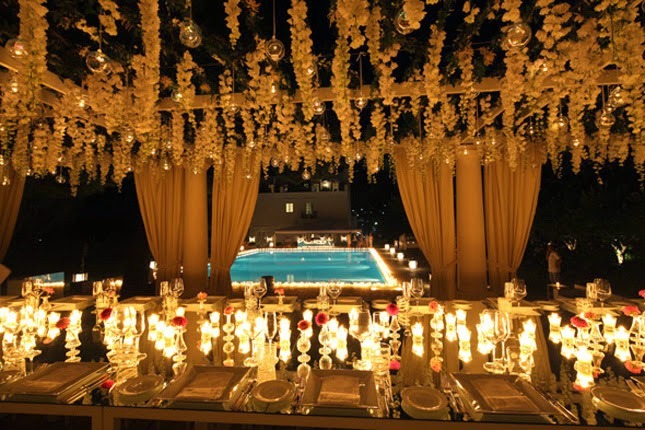 Whether your taste is romantic, elegant, or dramatic, there is a lighting scheme that will be perfect for your wedding.